With the Saints’ first preseason game of 2015 in the books, there seems to be more questions than answers about the future of the black and gold. While we know that too much should never be read into a preseason game, we should also realize that a lot can be learned from them as well. And the first quarter of last night’s game spoke volumes! I think back to watching last year’s preseason games and recalling how concerned I was at the way the first string defense played. They looked out of sync and at times, lost. It was clear that there was a lack of chemistry and discipline on the field. Well, I don’t have to remind any of you how that feeling of doom came to be representative of how the regular season would slowly and painfully play out for us Saints fans. Here we are entering a new season, but I can’t help wondering if it’s not as they say, “same soup, different day.” And I’m not just talking about defensively either. There were many times when the offense went stagnant and didn’t produce. Sure, in the end they put up a lot of yards and Drew Brees ended up in a tie with Ben Roethlisberger for the most passing yards at 4,952. But it wasn’t enough to catapult them into the playoffs, even in our flailing division. It was a hard season to watch: the defense couldn’t stop anybody and the offense couldn’t seem to score. What’s uncanny is, we’d seen glimpses of it in the preseason (though the 3-1 record was misleading). So far, we’ve witnessed the same sloppy, undisciplined performances that plagued the team all last year. 16 penalties for 143 yards is simply unacceptable, even in a preseason game. And let’s not forget how sloppy last week’s scrimmage was. The defense, offense, and special teams all have issues that must be cleaned up immediately! Granted Brees didn’t play last night, which in light of all the injuries, is probably a good thing. But we still have to be aware of the fact that the run game was virtually a no-show against Baltimore’s first string defense. For a team that wants to focus more on running the ball this year, things weren’t off to a very good start. Conversely, Baltimore’s starting offense moved up and down the field at will. Without much of a consistent pass rush, the Ravens QBs made it look easy, though the running backs made it look just as easy by taking it to the Saints on the ground. Guys out of position, missed tackles, blown coverages, and those dreadful aforementioned penalties have become downright habitual with this squad. Now with all the injuries to starters at key positions, there are even more questions surrounding the direction of the Saints as we approach the start of the 2015 season. Not to mention, we still haven’t seen CJ Spiller perform in a Saints uniform. Is he hurt or is he simply resting as we’ve heard? We don’t really know how last year’s highly touted FA acquisition, Jarius Byrd is progressing. 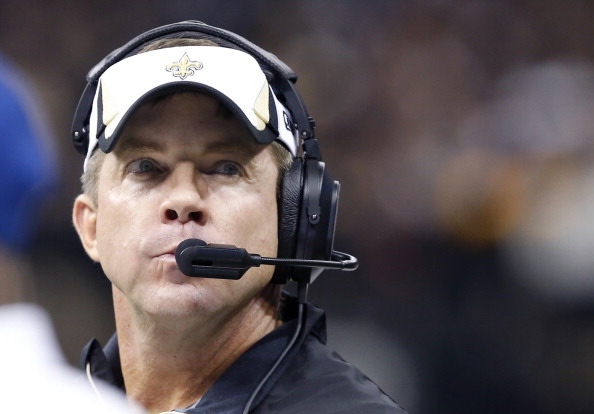 And as usual, Coach Sean Payton is tight-lipped about injury statuses. Also, after last night, we’re left wondering if the run game (led by Mark Ingram, of course) will progress and be even better or will it regress? 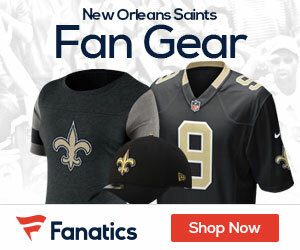 Can the offense recover from the losses of Jimmy Graham, Kenny Stills, and Pierre Thomas? Those players were reliable targets for Brees and a huge part of the offensive production. Which players (if any) will emerge from the shadows to replace that production? Will this team with so many new faces have enough time together to generate the amount of chemistry necessary to translate into production on the field? Who’s accountable for this debacle: coaches, players, or both? If you say coaches (and understandably many do blame Rob Ryan for the lackluster defense), then do we lay blame to Payton the same way for offensive stagnation and consequently sit him on the warm seat as well? Can or will the Saints coaches and players turn this mess around and return the team to its winning form? Or will the shortcomings, mistakes, and exposure of weaknesses in preseason carry over and become indicative of the norm in the regular season like last year? No one has all the answers nor can these problems be fixed overnight. But they must be fixed if we are to have any hopes of getting into the playoffs this year. Nonetheless, we can be excited as well as encouraged because there were some bright spots in last night’s game. Brandin Cooks showed that he’s poised for a big season if he can stay healthy. I love that kid, Marcus Murphy on returns! I hope he makes the team. Max Unger is clearly an upgrade at the center position. Khiry Robinson reminded us that he’s a tough ground-pound-guy (we just need to get the O-Line pushing consistently also). Cam Jordan showed flashes of his ability to get in the backfield and disrupt the quarterback and Anthony Spencer showed what he could do as well back there (he also drew a couple of flags). Damian Swann had a couple of nice interceptions (and a couple of bad penalties too though). The backup QB’s looked good, though I give Ryan Griffin the nod for being the best for the night. The battle between kickers Dustin Hopkins and Zach Hocker seems to be in a good place. Either one of those guys would be a valuable asset. And say what you want, but there’s something about seeing Drew Brees on gameday that always gets me pumped up! If we can keep him upright and comfortable in the pocket, we always have a chance to win. With 3 more preseason games to play and a bunch of practices in between, there is time to get things turned around and pointed in the right direction. But it’s going to take a lot of hard work, discipline, and accountability across the board to do it. We’re fans regardless and we love our Saints no matter what. It just makes our lives better when the black and gold is checking off more boxes in the win column than in the losing one.